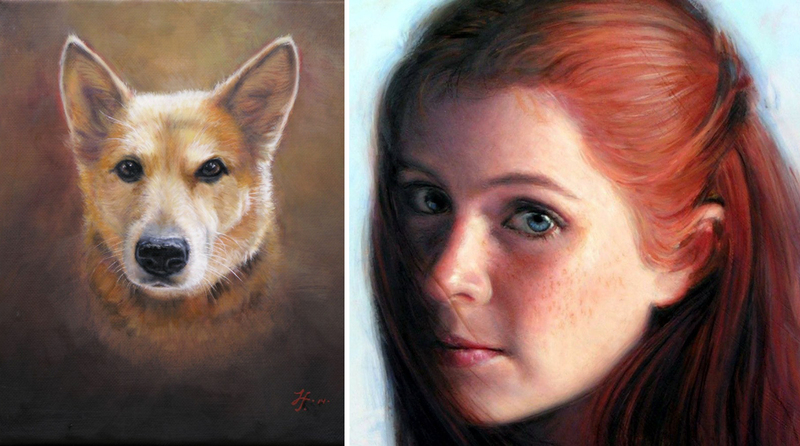 Transportive Moments Captured in Oil Paint & Brush Strokes. Landscapes Full of Light. Nature at its Most Noble & Inviting! One of the best aspects of Painting as a technique is the range of styles you have a to choose from, be it abstract, surreal or hyperrealistic. You also have your choice of subject matter, and unlike capturing photos, if you don't like the way something looks in real life, you paint it how you want people to see it. You tell a story about the person, place or thing. 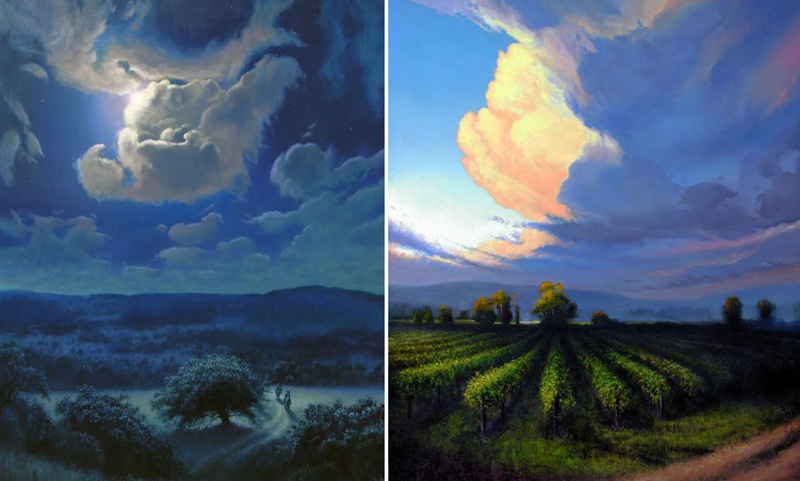 At least, that's how Layne Johnson composes his awe-worthy oil paintings! Layne specializes in landscapes and portraits, aiming to capture a moment or preserve a memory. The outdoor scenes he composes bring to mind one word especially - transportive. He has a knack for setting a scene you'd want to visit and helping the viewer imagine themselves there. 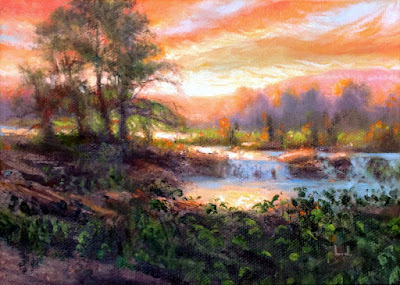 Like any good painter, Layne is especially attuned to the way light impacts the subject, from people to nature. It's very impressionist of him actually, with the focus on conveying the "impression" light makes in the scene. 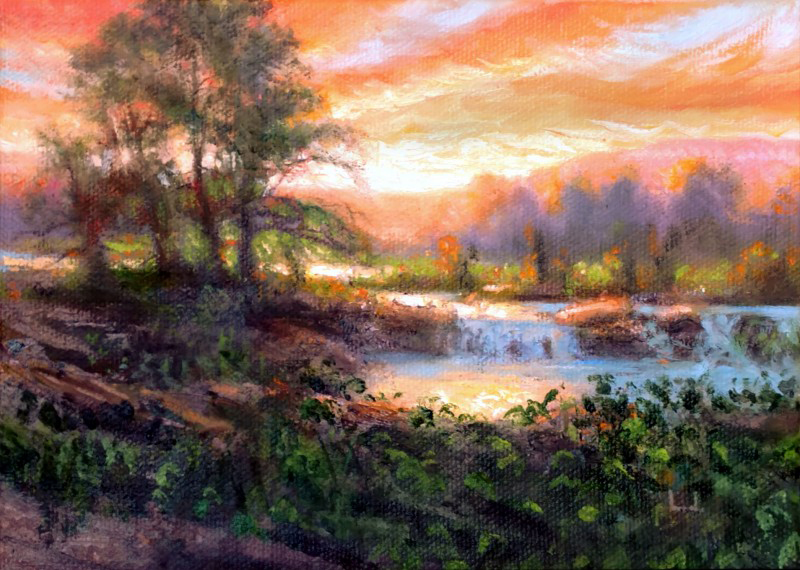 In looking at his work you may notice a common theme, the Texas Hill Country. I'm a little biased, but what an amazing place to have a studio! There's stunning nature all around, and with the constant change in weather, you're bound to see all kinds of uniquely lit landscapes, sunrise to sunset. Oil painting is an art that requires patience, but I imagine it's a zen like patience that allows Layne to really connect with the beauty around and represent it on canvas in a way that speaks volumes. The portraits he paints are equally stunning and story filled, although a little less impressionist in style, trying for a soft, realistic representation of the person. Layne can always catch them on their best light. While painting is his calling, Layne can also be found writing and drawing, a story teller across a variety of media! He is an award winning children's author in fact. What wonderful ways to express your creativity and passion. Check out these examples and join me on an painting adventure, imagining a walk through one of Layne's stunning scenes! He will be releasing some new work soon. You can check out behind the scenes videos here.